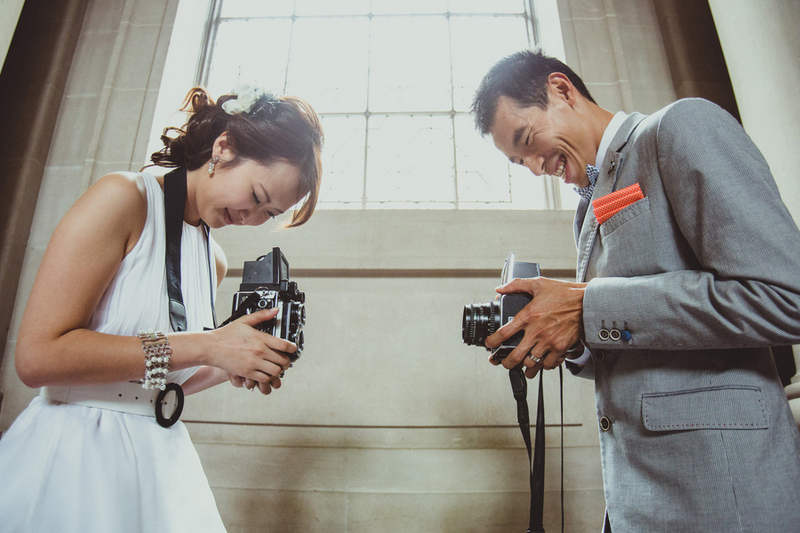 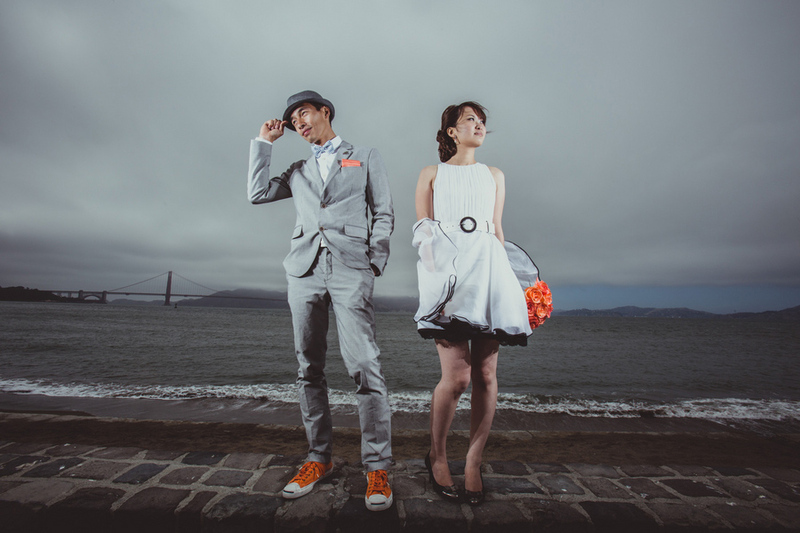 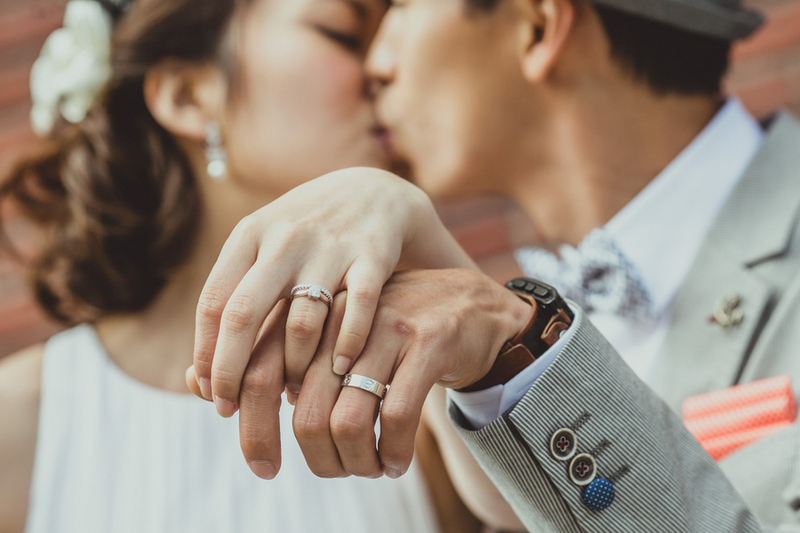 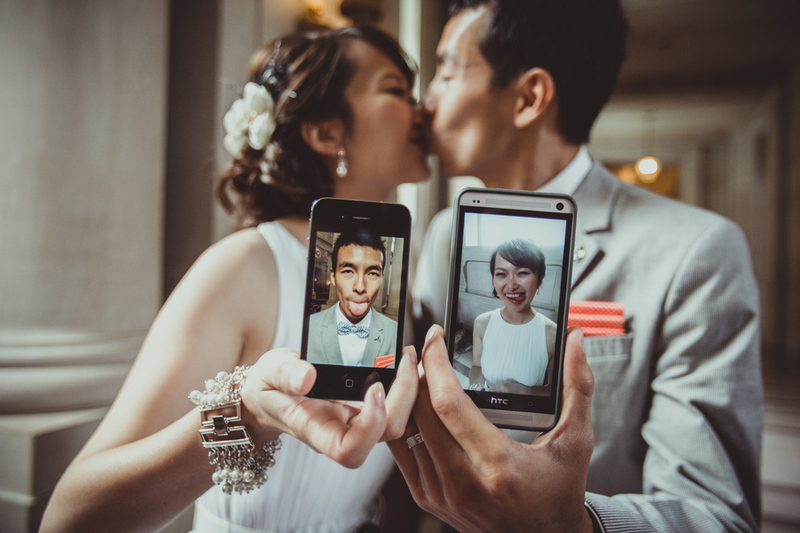 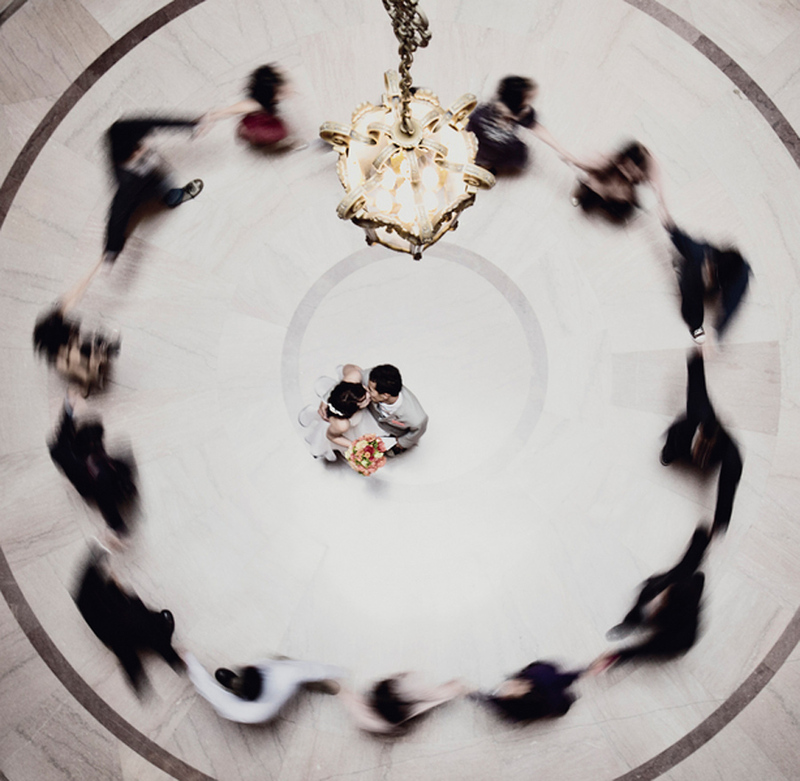 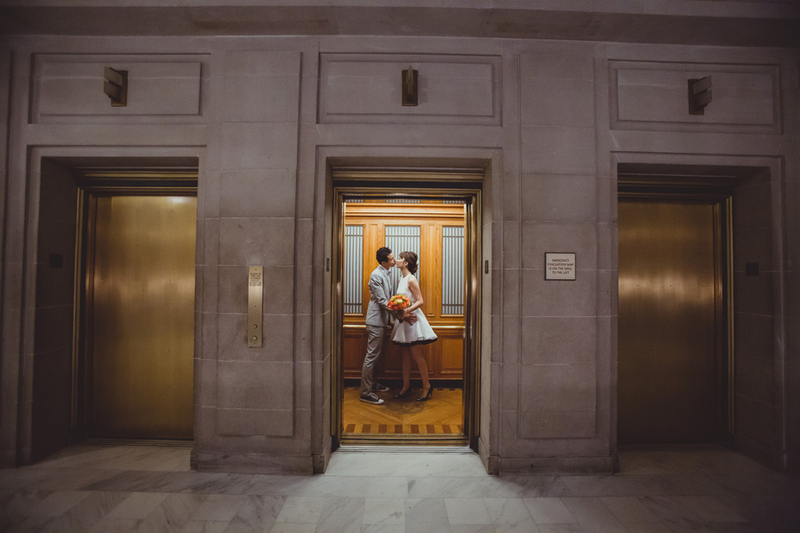 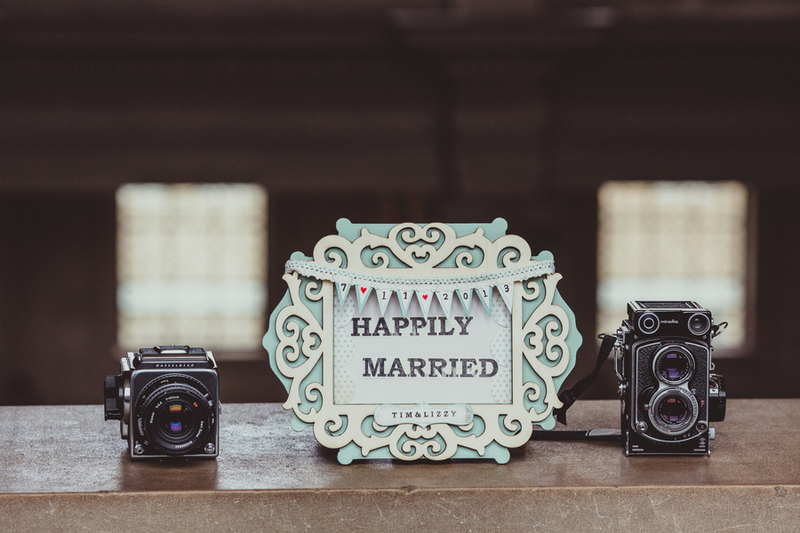 We are loving this couple's simple, yet stylin', city hall nuptials that IQ Photo Studio captured a few months back. 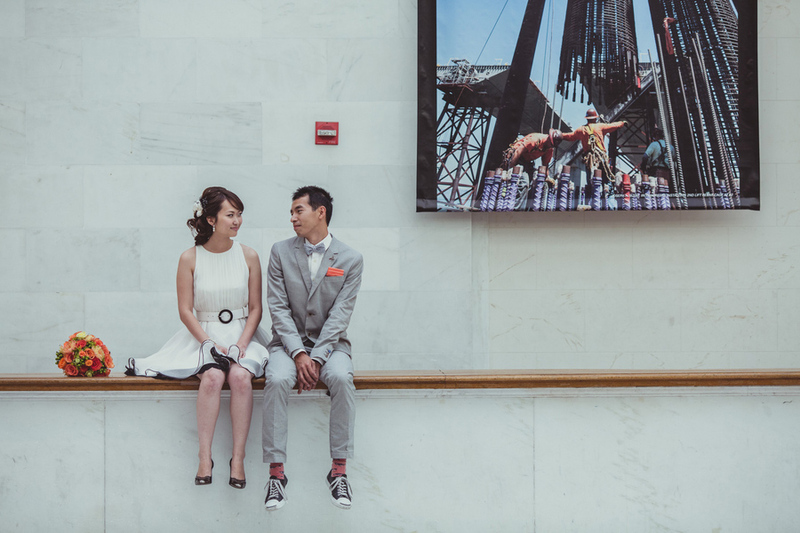 We say it is stylin' because these two smitten lovebirds are just that-they are super stylish, with a vintage soul kind of vibe! 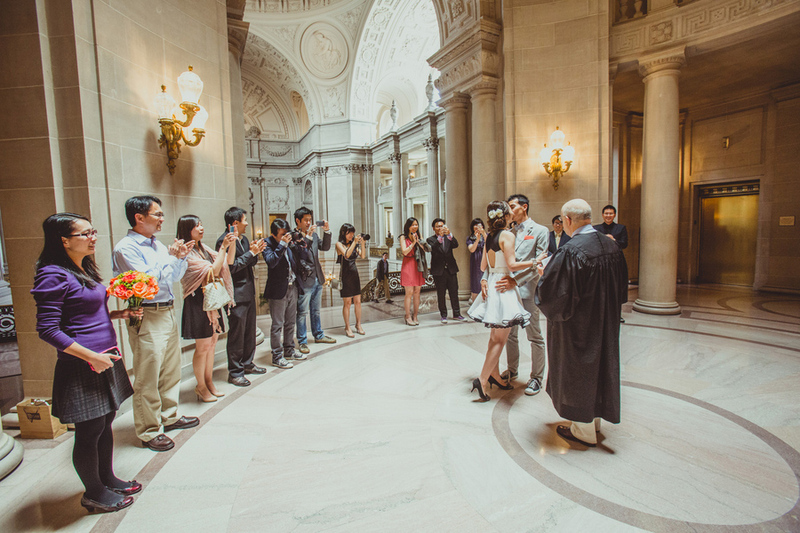 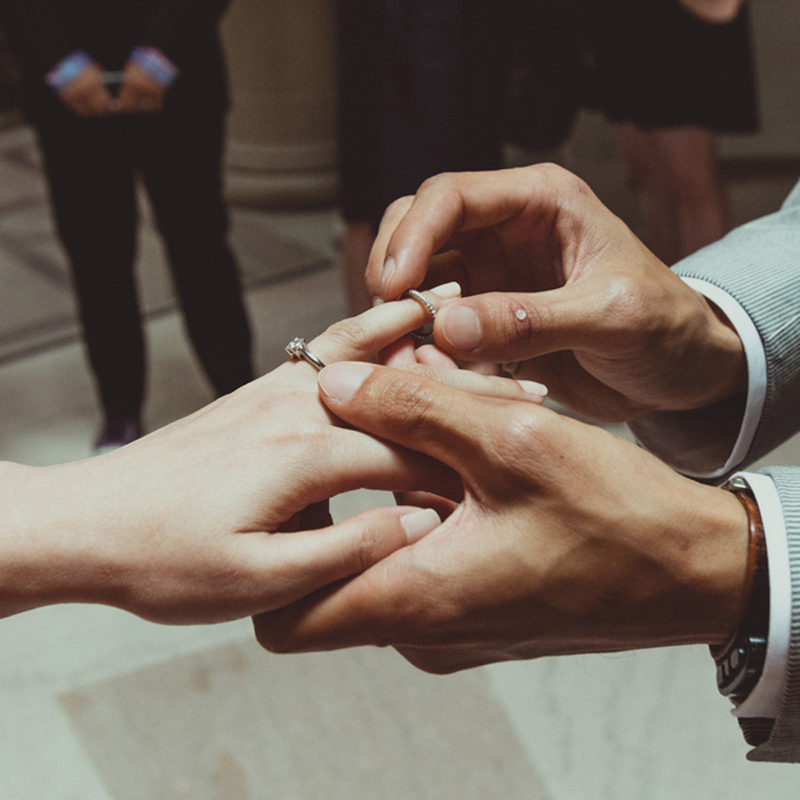 Their simple ceremony took place at San Francisco City Hall, surrounded by close relatives and friends. 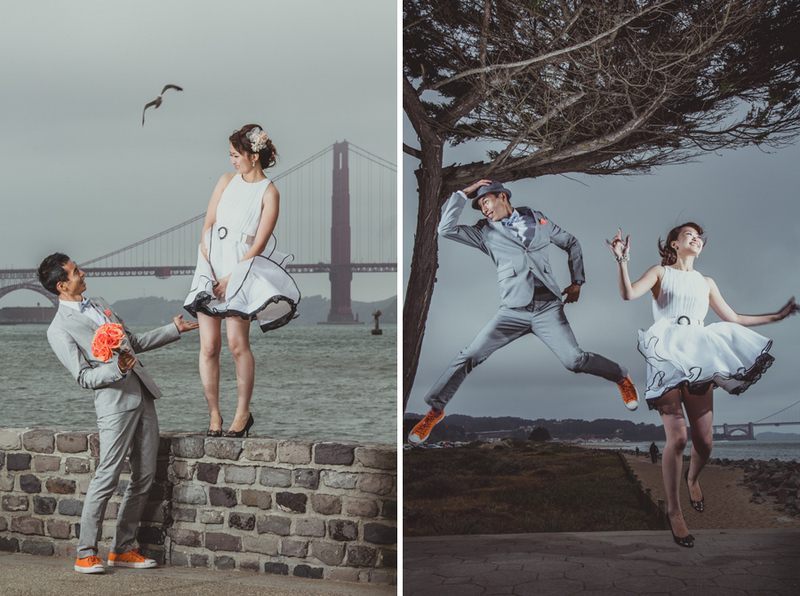 Then the two headed out for some newly married portraits, which features the famous Golden Gate Bridge in the background. 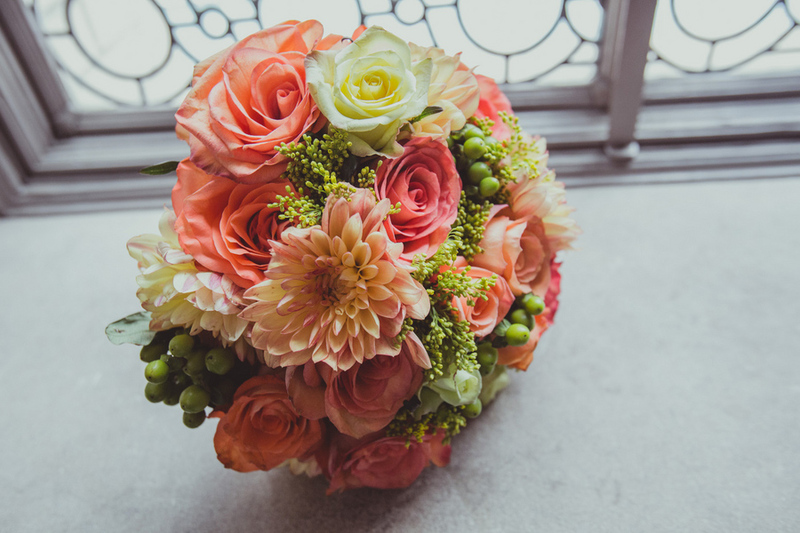 The bride is seen wearing a simple white dress, with an amazing black tulle under-skirt, carrying a gorgeous orange bloom bouquet. 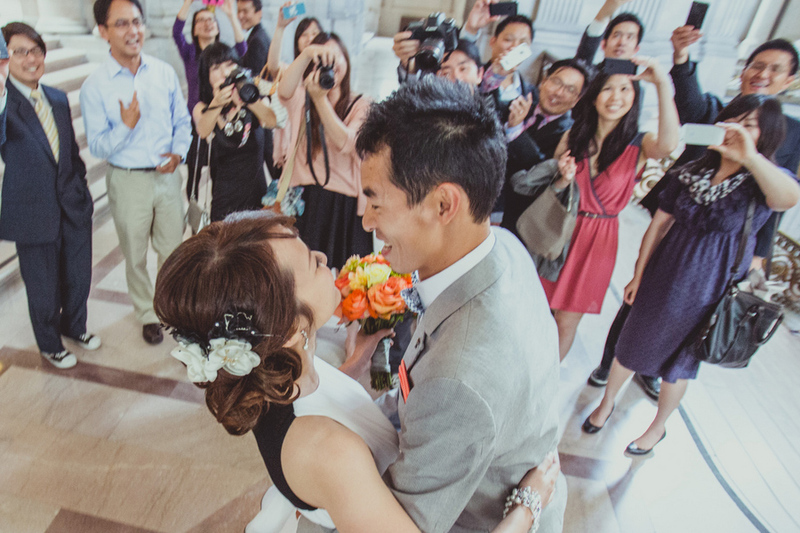 The groom is wearing a blue and white pinstripe suit, with orange accents to match the orange bouquet. 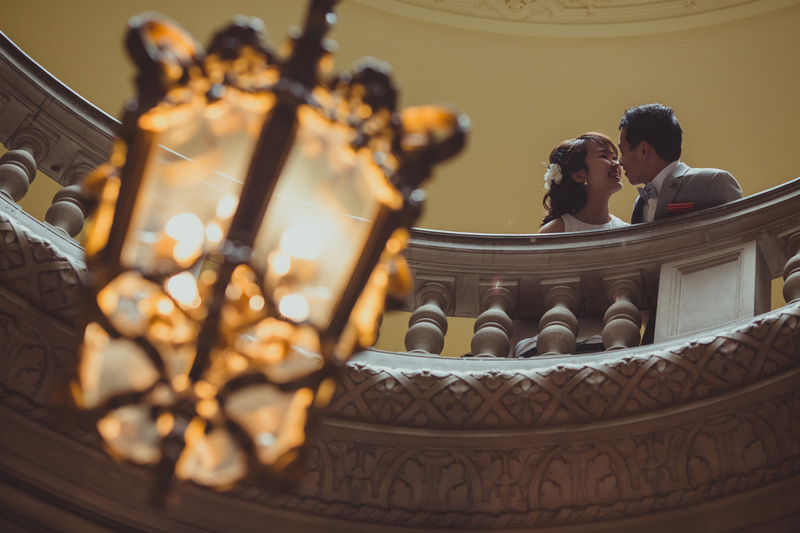 Joseph, the photographer, from IQ Photo Studio, did an amazing job at capturing the ceremony, and the couple in this historical building, with his unique approach to the way he captures imagery. 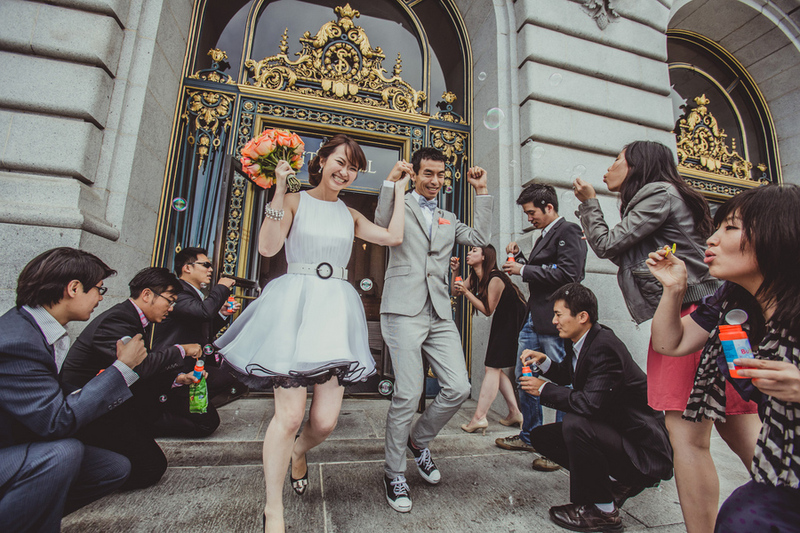 So fun, so chic, so fantastic! 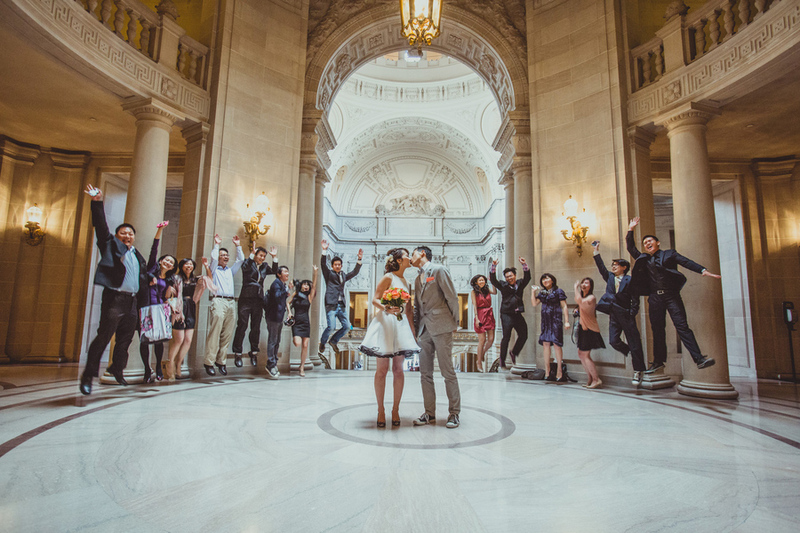 I love the angles that Joseph shot the couple in. 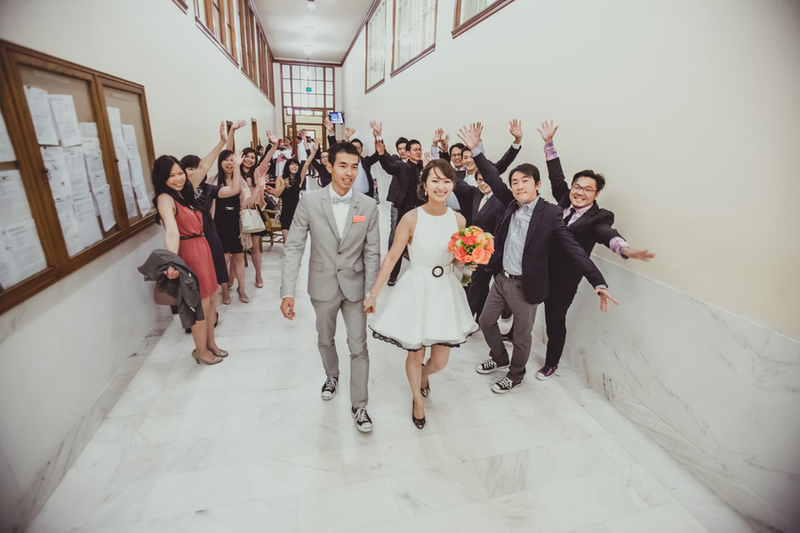 The image above the couple, with the blurred circle of friends surrounding them is genius! 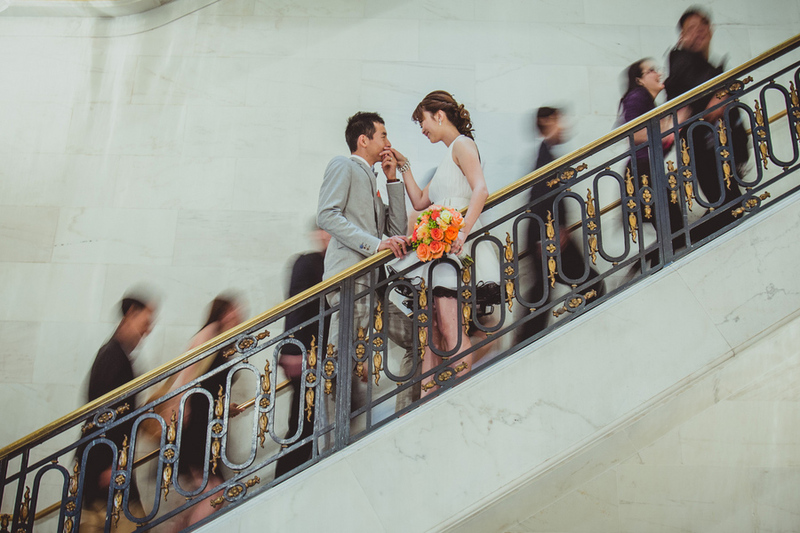 I also love the image on the staircase with the two giving kisses, and the people going up the stairs are blurred out. 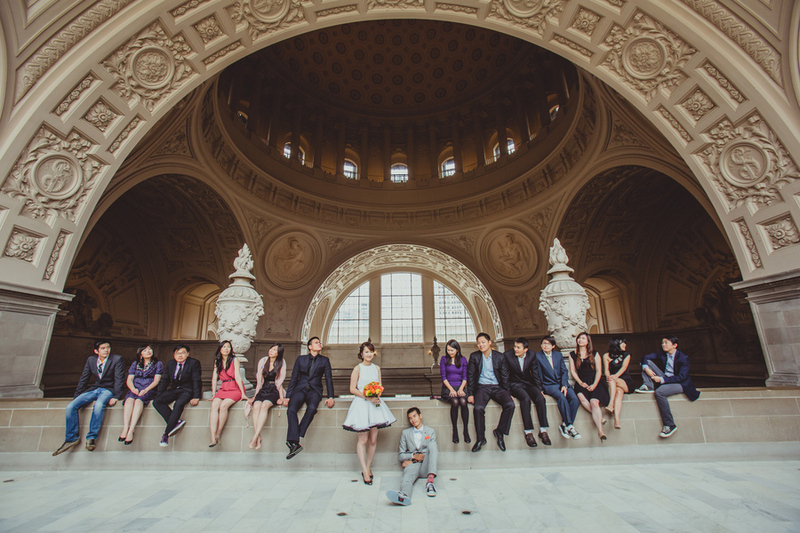 Our thanks to IQ Photo Studio for sending to us your beautiful work!